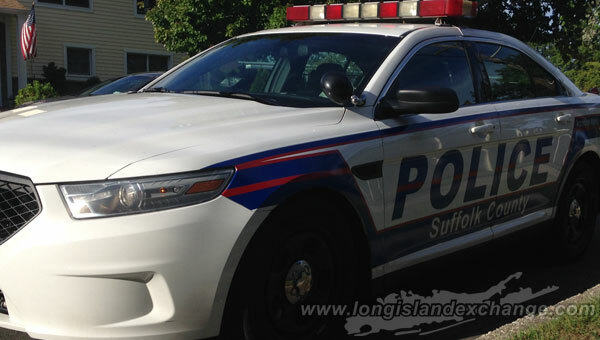 (Long Island, NY) Suffolk County Police Seventh Squad detectives are investigating a motor vehicle crash that killed a man in Shirley on Wednesday, December 30. A man riding his bicycle attempted to cross from the eastbound lanes to the westbound lanes of Montauk Highway, near Garden Place, in Shirley, at approximately 5:30 p.m. The man was struck by a Toyota Highlander that was traveling eastbound on Montauk Highway. Suffolk County Police are investigating a motor vehicle crash that killed a man in Shirley on Wednesday, December 30. Photo Credit: Chris Boyle. The bicyclist, whose identity is being withheld pending notification to next of kin, was transported to Brookhaven Memorial Hospital Medical Center in East Patchogue where he was pronounced dead. The driver of the Toyota was not injured and remained at the scene. The Toyota was impounded for a safety check and the investigation is continuing.